The Amy Rose based SFG Rose of Longevity, which appeared at last year’s Sonic Amateur Games Expo, is back for another round in 2010. An updated beta demo, version 2.5, has been added to the game’s SAGE booth for your playing pleasure. To download it, head to SAGE, click on Booths, and look for the Rose of Longevity icon. To whet your appetite, producer DarkJedi88 has recorded a lengthy gameplay teaser trailer, which you can see in the video box below. 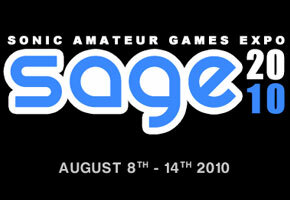 We’ll keep bringing you more fan game goodness as this year’s SAGE rolls on.